Caen has an airport at Carpiquet and it offers a selection of internal flights from other European countries including Germany and Spain. The range of flights is constantly changing and improving, so check the airport website for the services offered. However the Charles De Gaulle airport in Paris is still the most popular arrival point for Americans arriving into France. A good English language page about trains in France can be found here on the SNCF website. For information about french rail passes, please read this excellent article by travel write Rick Steves. Shops and Banks open at around 9.00am, and usually close for lunch from around 12.00pm to 2.00pm. In the summer some souvenir shops stay open to until 7.00pm or later. Larger towns like Bayeux, Isigny sur Mer and Carentan have hypermarkets which are usually not in the centre of town. You can find pastries and such in bakeries for breakfast but coffee-to-go is harder to find. The D-Day beaches are on the Atlantic coast and can therefore be windy all year round, rain is always a threat too - even in the summer. Plan to have layers that you can add and remove, as the temperatures vary greatly from early morning to early afternoon. 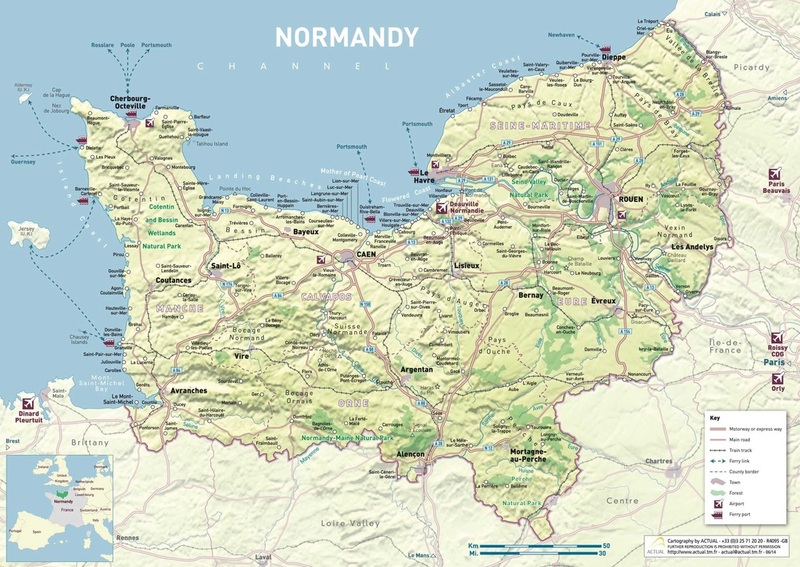 Normandy is rarely humid, but in the winter the air is damp and cold and you will need hats, gloves and scarves. One tip is to never judge what the weather will be like in Normandy by how it is in Paris. A hot sunny day in Paris, can be a windy sunny day on Omaha beach. US News has a good guide to the weather in Normandy for American visitors here. Is it safe to come to France? I refer you to this excellent piece by Travel writer Rick Steves.